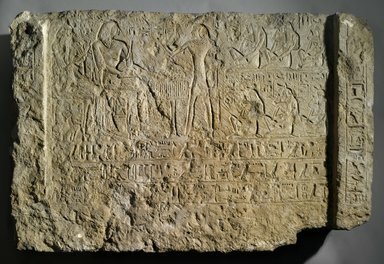 Limestone sunk relief. On left, deceased and wife seated before elector priest. On right, two registers of kneeling mourning women, each with three figures. Below, three rows of inscription. Raised molding on either side of the scene, also bears inscription.